We have gotten some really great feedback from many of you about the ‘interventions’ page. There are some new documents in the Speech Sound Production Interventions section of the RtI. What do you suggest to teachers for tier III interventions? If you have any additional resources that you would like to share, let us know! Are you looking for ways to connect with teachers to encourage modeling/implementation of a student’s communication system throughout the school day? If your students have communication systems that are rich in core vocabulary, this post may be just what you are looking for. Several SLPs have asked for a “one stop JCPS shop” where AAC and core vocabulary activity ideas, website resources, and goal writing resources could be shared among JCPS SLPs. This post is the “Black Friday” kick off for AAC and core vocabulary resource shopping (no credit card neededJ). JCPS SLPs are encouraged to continue to add their favorite AAC and core vocabulary activities, resources, and sample goals. Email Kinsey Chambers your favorites to share with the group. Kinsey will add them to the ‘Core Vocabulary for AAC’ page on the blog. No reinventing the wheel here. Let’s “work smarter…not harder” by sharing with each other. Check out the Core Vocabulary page for some great ideas! One big theme during the fall months is apple picking! This topic easily translates to fun in the therapy room! Using a book or books may help to introduce the topic. 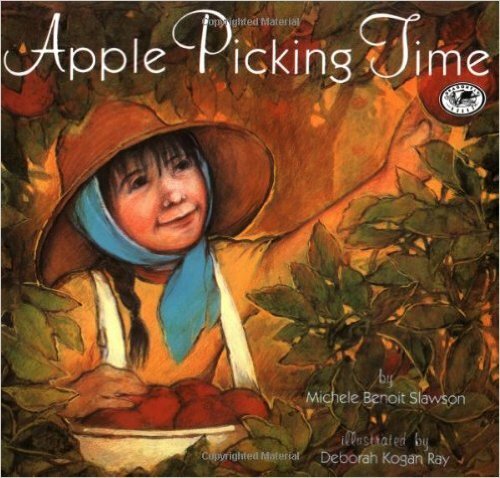 If you wanted to use a fiction text, you could use ‘Apple Picking Time‘ by Michele B. Slawson. 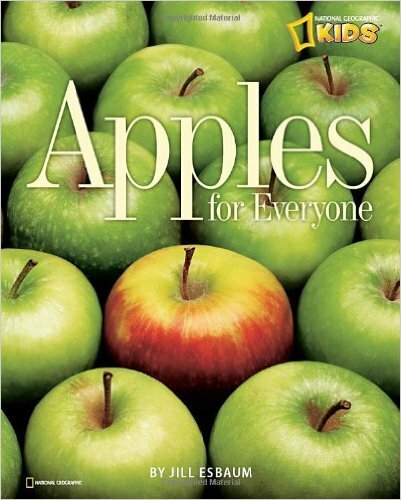 It might also be fun to use Apples for Everyone by Jill Easbaum. Each of these books can be used with kiddos with a fairly wide range of ages and abilities. 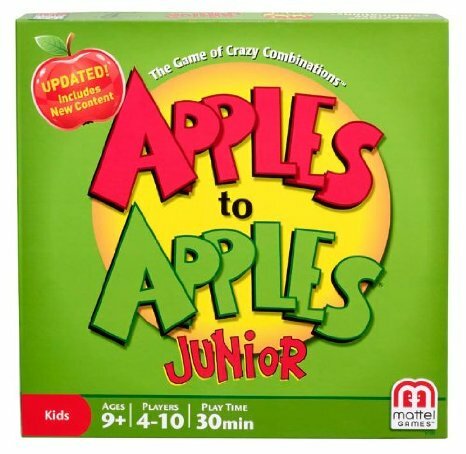 The first activity that comes to mind is the game Apples to Apples. If you have not played this game or used it in therapy, you are really missing out! Another fun activity would me to make apple scented play-doh. Students could be expected to use language skills to follow directions while making the play-doh as well as when using these activity mats. If you have kiddos who need more practice with expressive language, you could incorporate the apple theme into your use of EET. You could have kiddos describe: apples, apple picking, making an apple pie, etc. BE sure to check out the pinterest page for EET templates and ideas to use in conjunction with your EET kits. Kiddos who have difficulty with higher order reasoning tasks, may enjoy explaining why these apple jokes are funny. Finally, here are several blank templates that could be used as reinforcers for kiddos with articulation and/or language goals. Students can collect apples to put in their basket or color in the apples in their tree by either producing correct speech sound productions or by completing any number of language tasks. What’s going on in your speech room this apple pickin’ season? Do you use any fun apple activities? Under the General Documents tab you will find the most up to date Speech Language Newsletter 9/15. You will find the new suggestions for Tier 1, 2 and 3 Interventions, reminders regarding goals/benchmarks, new methods of measurement requirements, and LRE examples. There is also the statement regarding uploading graphs without the analysis statement component to IEPs annually. Our Summer Training Power Point and the Updates Power Point have been merged and can also be found here. The most recent Speech Language Requirements for Initial assessments and Reevaluations chart and New Checklist for the KY Evaluation are found under Evaluation. You received the chart at the beginning of the year and the New Checklist on Wednesday. The checklist follows the editors of the new KY Evaluation. The scanned in version of the IEP Editor Checklist will be under Annual Review. This is just a quick and easy list of what is required for each IEP. If you need reminders or assistance of best practice for writing IEPs you can check your Speech Language Newsletter 9/15 or if you need more specifics use the IEP Guidance Document found here under Annual Review. Joann Scott said, “As children know, there’s lots of fun in nonsense. We never stop benefiting from staying flexible, open, and responsive, even in the midst of confusion.” I don’t know about you but that is going to be my motto this year. It has to be. We have many changes, good changes, but changes nonetheless and if we aren’t flexible we won’t be any benefit to ourselves, our colleagues, and especially the children we serve.